One of the pillar principles of kaizen and lean management is genchi genbutsu – literally “actual place actual thing” but often translated as “go see for yourself”. One of the first things a lean sensei will do is to take the student out to the shop floor, sales floor or hospital floor on what is often called a gemba walk. The purpose is to begin calibrating the student’s visual perception of reality with that of the more experienced lean master. In short, the gemba walk helps the student learn to see the details they now overlook. At first these details can be the size of the proverbial elephant in the room. With time, the details spotted by the sensei and missed by the learner are like dust. But do you know why you should go see for yourself? Is it really to hone one’s eyes to see lean opportunities? I have heard very senior executives argue convincingly and with passion that their staff does the “go see” and gives eye-opening reports on what is working and what is not on the front lines. It is the job of the executive, he argues, to prioritize, delegate and empower action among his management team. This resistance to conducting frequent gemba walks comes in part from fear of looking like a fool for the first dozen walks while they learn “what is what” (never mind “what is muda”) on the front lines. The reason why “not a damn thing is going to happen” is, however, not that generals have more authority than presidents. It is that military organizations learned long ago that futility is the lot of most orders and organized the feedback to check on the execution of that order. They learned long ago that to go oneself and look is the only reliable feedback. Reports – all a president is normally able to mobilize – are not much help. All military services have long ago learned that the officer who has given an order goes out and sees for himself whether it has been carried out. At least he sends one of his own aides – he never relies on what he is told by the subordinate to whom the order was given. Not that he distrusts the subordinate; he has learned from experience to distrust communications. How many executives have read this book, come across this gem of wisdom and shrugged it off as another interesting theory or management method that they don’t have time to put into practice? First written in 1967, The Effective Executive has been thoroughly read and respected in Japan. Long before genchi genbutsu became a lean management buzz phrase, Peter Drucker was teaching “go see for yourself”. 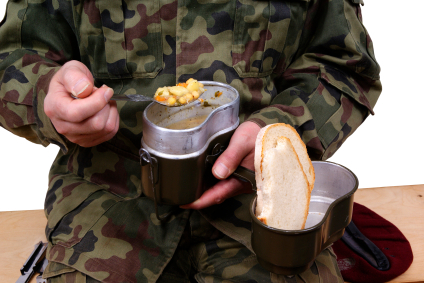 Centuries before that, the most effective military leaders were eating the same food in the mess hall or sharing a ration on the front lines with their troops. With the coming of the computer this will become even more important, for the decision-maker will, in all likelihood, be even further removed from the scene of action. Unless he accepts, as a matter of course, that he had better go out and look at the scene of action, he will be increasingly divorced from reality. Maybe the ultra modern executive will realize they can send a trusted aide to the shop floor with an iPad, streaming video back to the executive so that even if “go” is not practical the “see for yourself” is enabled through technology. Why should you go see for yourself? Because as Drucker observed from the behavior of effective military leaders, we should distrust communications. Every information hand-off is an opportunity for a defect. The root causes of communication errors are too many to number, too insidious and part of the fabric of the nature and society of people that brevity, frequency and directness are the only sure countermeasures. These information errors are not visible unless we go to the source to check, comparing what was said versus what was heard versus what was done. What about respect for people? I think that the number one benefit of Genchi Genbutsu ( or go, look, see)is that it offers plenty of opportunity for the executive to engage with and challenge his people. It allows him to set his expectations clearly and visually in real time. I can’t see how Ipods, Ipads, tablets, computers radios etc can not capture this benefit. You are right. TO build on your comment, the executive needs more than a gemba walk for checking and fact finding – he needs a routine to make “go see” a habit, i.e. leader standard work. Otherwise it is difficult for the leader to build rapport and show genuine respect for people. It is also about the leader understanding that problems are best understood by going to the place. A KPI that says 85% on time in full (OTIF) may be useful but after an hour down at despatch and walking backwards through the process the leader will understand what is stopping 100% OTIF and what to do about it – through the team. 1. It shows respect for the staff that actually generate the value. 2. It builds morale when you actually stop and listen to them. 3. It gets you in touch with the marketplace. We need to remember that those lower level employees are also consumers, and the group they belong to makes up the largest single group of consumers there is. Getting to know them will help you get to know the biggest market there is. 4. It keeps middle management honest. When you go to your shop floor and if you open up communication to your office from the shop floor, everyone between you and them has to tow the same line, or it will be found out. 5. It will build loyalty, when you repsect them they will respect you and overtime they become very loyal, they may not seem important but they often have access to information every bit as important as most CEOs. 6. You will see and hear far more, which will help you make better descisions. These are just afew more reason to taake the time and force yourself to go to the production floor.